The Nuface Mini is our pick for the best microcurrent machine, which is a great apparatus that can give you a radiant skin due to the combination of hyaluronic acid and micro current, which can work together for a nice beauty regimen. Our step-up pick is the Gizmo Supply and this one is great for facial treatment. It uses microcurrent and gives the user more collagen for a better skin health and a more elasticized feel. It is great for those who want a more tech way of anti aging. 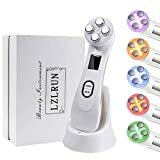 The budget pick is the Zinnor Portable Galvanic and this one is great for skin care and makes the use of microcurrent for making your skin look younger. It can also remove pore dirt and will also make use of the electron flow to help with acne and hyperpigmentation problems. A microcurrent machine is a machine designed to give facial treatment through electrical impulses. This kind of modern technology is now being used around the world as a means of facial treatment other than with microdermabrasion and diamond peeling. It has been tested by skin experts or dermatologists around the world as a safe facial treatment to beautify your face skin. Beauty products alone cannot hope to go into your skin without further cleansing. This is because your pores can get blocked every single day because of dirt and other irritants. Just as you are using other creams and facial products, you may not be sure that you are getting the best treatment without proper pore declogging. It is as if you have not used makeup remover and reapplied makeup over and over again, which can be bad for the skin. All people have different skin types and sensitivities. Some have oily skin, some have dry skin, some have combination skin and some, luckily, have normal skin that gets less breakouts and acne in the long run, when taken care of properly. Oily skinned people need to be cautious with skincare products so that their pores do not get clogged with too much oily products. Dry skinned people, however, should have more moisture in their skin to prevent drying. Combination skin types are dry on some parts and oily on the T-zone, or the part on the forehead and to the nose bridge. Combination skin is the most common of all. Normal or fair skin is very rare, so you have been blessed if you have this kind of skin, because you can use just about any kind of skin care product and not care that much at all, as long as it is genuine and lab tested. Many things can affect your face as you grow older. For instance, skin cells can get loose when you grow older and can form wrinkles on your face, which can be unsightly. Your skin also tends to lose moisture and elasticity as you get older, causing sagging and wrinkles as well. Many anti-aging creams come out in the market, but very few of them actually work and it also depends on your skin type, age and lifestyle. Pollution and stress are two things that can also add to aging. If you live in a highly polluted area, chances are, your skin will get more damaged because of the exposure to the chemicals from the pollution, which can get into the pores of your skin. Stress can also be a factor, for when you have a terribly stressful job or school work. People with demanding jobs tend to have haggard looking skin later on, so they need care. Having a healthier skin will have benefits to your well-being because it makes you self-confident. A healthier skin can make you feel good inside and out. Also remember that sometimes, having good skin is not just obtained from the outside. Sometimes, eating and drinking enough vitamin C, vitamin E and those collagen supplements can help your skin become more youthful and fresh in appearance. Levels of adjustment: if you can adjust the intensity of the of the instrument then you may be able to find the right current for your best needs. Some skin types are stubborn and thick, and some skins can also be plagued with too much dirt and debris, and hence they need much more intensity from the instrument. Certifications by governing bodies: do consider one that has CE certification as well as certifications from other governing bodies. This ensures that the instrument is of high quality and safe for use. Home or commercial use: you should also know if the instrument is ideal for home or commercial use. If it is for home use, it will usually come with only the basic components and will be easy to use, cheaper and portable. For commercial use, such as for a clinic, the instrument may be more complicated in design, can be expensive and may also involve other instruments in the contraption. Ease of use: you have to consider an instrument package that is easy to use and that comes with the ready user instructions, so that nothing can go wrong with it, even if you are a beginner when it comes down to using this kind of facial instrument. Included cream or topical product: you have to consider an instrument that may also come with another product for later application such as a moisturizer. This can make the process of healing your skin from impurities easier and smoother. Included accessories: you should also consider an instrument that has included accessories so that you will be just fine when you try to set it up by yourself. Oftentimes, portable ones come with all you need but some can also come with more accessories, such as those for business use. Portability: if you want an instrument that is truly portable then you should consider one that has great design that can be travel friendly. It should have a small size, easy to operate and also very simple in its looks and functionality for the on the go person. As our top pick, the Nuface Mini is a great choice for those who want to naturally contour their face with the use of technology. It has been dermatological tested to be safe and sound for your skin. It can also help reduce the appearance of fine lines and wrinkles. It will also greatly improve your skin tone for a more radiant looking skin that looks younger. It has a non-invasive design for its design technology. It is a combination of both hyaluronic acid and microcurrent, two new technologies, to help improve the health of your skin. It can be used up to 5 times per week and you will see the result within 60 days of use. The maintenance period can just be from 2 to 3 times per week. It can be used within 5 minutes of each session and it can be used not just on your face, but also on your neck. While not a deal breaker, the Nuface Mini cannot use water, so you should only use the primer gel, but this is true for most microcurrent machines anyway. The Gizmo Supply is our step-up pick, which comes as a set box that can be readily used whenever needed. It can help your skin get more collagen and this can make you look younger in return. The elastic fiber on your skin will definitely pull through with this kind of gadget so that you will feel younger and have a more radiant skin. This is because of the corium being regenerated through stimulation from this machine. If you also want to help calm down your nerves due to excessive stress and haggard activities during your lifetime, this can help minimize those. It can also help calm down your blood vessels so that you look more radiant and refreshed. It can also help those with bad blood circulation to have a better skin appearance and it can also positively affect the lymph transmission of your body. The machine runs in 110 volt systems. The Zinnor Portable Galvanic is our budget pick, in which electrons can easily flow to your skin to help penetrate it through and give a better cleansing capability for your pores. 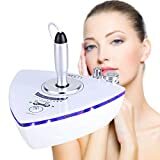 It can also eliminate all the debris dust and dirt that can enter your pores, effectively creating an at-home facial treatment with this kind of gadget and system. If you have hyperpigmentation or even acne, this is the kind of gadget that you would want because it can help the circulation of blood on your face to be healthier. It uses microcurrent to help nutrients pass through your skin better, resulting in a more lustrous skin and healthy appearance. It is also very easy to use and quite portable in its appearance. The Project E Beauty is a unique kind of microcurrent machine because it uses a warmer feature to heat up your skin and make blood flow better. It sends waves to help clean up your skin and make it firmer and give deeper metabolism. It can help send nutrients into your skin easier due to the negative ions, while the positive ions can help clean up dirt and debris as well as dead skin cells. There is a lifting wave that comes with the current of the system. It can be a great skincare product that can also relax and stimulate your skin. It will give an effect that is kind of similar to face lifts. It has a total of 3 levels of vibration for you to choose from, depending on the level of current that you want to have for your skin to achieve a great rejuvenation process. The MYSWEETY Home Use has a unique docking station that is triangular shaped. There are many easy controls on the machine, including the settings for intensity, which is indicated with 5 levels of colors for you to choose from. You have simple selector buttons to change the intensity of the current that comes out of this system. It also has a simple on and off machine, and the actual handling part is very easy to dock onto the station. It is a helpful machine when it comes down to improved blood circulation as well as acne problems. It can be used with any lotion or cream and you will get better results. It can also help skin flexibility to be enhanced and you will also look younger due to the collagen cells being stimulated much better with this kind of machine. It can treat your entire face but it will also work on other parts of your body. The BKL-8031 3-in-1 Multifunctional is a massaging tool that can also help rejuvenate your skin. It has basic functions: the power button, plus 3 buttons: EMS, Infrared and Sonic (H, L). EMS refers to electromagnetic static or the microcurrent itself. The infrared rays are great for other purposes such as for killing bacteria. The sonic controls have a high and low option for you to use. The unit itself is very portable in its design. If you want something that can help make your skin more elasticized then this is a great one to consider. It can give you good effects and results on your face, as well as your arms, thighs, abdomen and the rest of your body, as it is a portable tool that can be used anywhere on your body. It is also CE approved so it is very safe to use. The Forever Spring Time is a portable machine that can be used on the go. It is quite small so you can take with you wherever you go. It can help with the production of elastin and collagen, both of which are important in cell regeneration as well as the overall appearance and supple quality of your skin, especially on your face. The system can give you a great glow with regular use and it can also work on most people who have haggard looking skin or sagging appearance. It can help rejuvenate and exercise the muscles that surround your face so that you can look younger. It comes with a collagen gel at 1.7 ounces so you can make the most out of it. A battery is included as well as a 1 year warranty (limited). 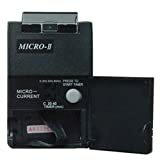 Aside from beauty purposes, there are also microcurrent machines for chronic pains, such as the Current Solutions DM9152. It is ideal for those with hand pains and it is a dual channel device. It can be easy to use on the go due to the included carrying case. It comes with four pads for ease of stimulation. The unit is a complete set in which you don’t have to buy anything else to get it to work. It has a current of up to 3.5 mA and it also comes with a timer that is very convenient. You can also use it for other fractures as well as other wounds for ease of healing. It is a great stimulator for your muscles and there is also a control knob that lets you adjust the intensity of the system. It can give you relief from most aches. If you are looking for a system that also includes collagen injection then the Mesotherapy Electroporation is a great choice. It also makes the use of LED light therapy to make sure that your face is properly treated. It uses RF or radio frequency for home use in order to conduct a facial treatment for your skin and face. With this kind of device, collagen and hyaluronic acid can easily get into your skin due to the electro therapy. Because both collagen and hyaluronic acid are needed by the body for attaining a healthy and youthful skin, this kind of system can be seen as an anti-aging device. It goes through your skin from 1 to 4 mm and can also be great for better blood circulation. It also does wonders for lymphatic drainage. The eMark Beauty T5 is great for professional use because it includes different functions in just one station. It comes with a facial steamer as well as microcurrent gloves. It also includes a vacuum extractor, a towel warmer to disinfect the towel, and a UV sterilizer to kill all of the harsh bacteria. There is also a stainless steel utility bowl for other things. There is an easy to connect steamer jar made of glass. There is also galvanic current included in the system, as well as a skin scrubber, diamond tip microdermabrasion system and a magnifying lamp. This complete system is ready to take on any customer who wants a full facial treatment by a professional, as it can be expensive, but very useful for clinics. While others looked promising, they were not in our list because they lacked in user instructions and were not safe to operate because they didn’t have clear instructions on how to use them. Most users have also said that they don’t work at all or could have parts that might damage your skin. Q: What is a small current facial? A: A small current facial is a kind of facial treatment that has been going around a long time. It is a great kind of facial treatment that can be employed using low voltage currents that can repair cells so that when your skin cells have broken down, it will help to repair your skin. Q: What are the benefits of small current facial treatments? You can definitely improve the elasticity of your skin with this kind of treatment. It will help your skin get hydrated. It will make your skin smooth to touch. Your lotions and creams will get through your skin better. Acne and pigmentation problems can be relieved. It can help with sun damage such as age spots. It can help with blood circulation for a radiant looking skin. It can help with toning your muscles for a youthful appearance. It will make you feel younger because of the elasticized feeling on your skin with less fine lines and wrinkles. Q: What are the different skin types? 1. Normal skin type – this is a kind of skin type that is very normal, but also very rare. It means that there is nothing that can potentially harm you like acne, and is very rare to have acne and skin problems. If you have this kind of skin type then you are a very lucky person. It means that your skin type is very fair and is less likely to have problems, not being too dry and not being too oily. Only a few people in the world have this type. 2. Dry skin type – this is a kind of skin type in which your skin lacks oils and the result is that there is less sebum that is produced. There is almost no moisture on your skin, making it very rough and also less protective when it comes down to outside forces such as dirt and the like. Dry skin is something that will make your appearance dull looking and rough as well. 3. Oily skin type – this is a skin type that produces too much oil, so they are more prone to acne and other skin problems. They have more sebum production and they also tend to have more visible pores than other skin types, making them stand out than the rest. The glossy shine of oily skin also makes them more unique than other types. Oily skin is also troublesome to deal with, like dry skin. 4. Combination skin type – this is the skin type that can be a mix of both oily and dry skin, in which there is a T-zone in the middle of your face, characterized by the nose bridge area and the area above the eyebrows. This kind of t-zone is where the oily part comes in, and the dry skin goes on the sides. Many people do have this kind of combination skin type, which is fairly common due to the balance in oily and dry skin partitions. If you often have sweat on your nose bridge and on your forehead but not on your cheeks, you might have this kind of skin type. Q: What are the dos and don’ts of oily skin types? 1. Do use sunscreen with at least 30 SPF. 2. Do consider smudge-proof makeup and shine-free products with a matte finish. 3. Do have a daily and nightly wash routine. 4. Do clean up your makeup tools. 1. Don’t settle for too many acne medications. 2. Don’t touch your acne spots. 3. Don’t forget the moisturizer, even if you have oily skin. 4. Don’t forget to clean your pillowcases. Q: What are the do’s and don’ts for those with dry skin? 1. Do use moisturizing creams. 2. Do use warm water that is not too hot when showering. 3. Do change razor blades if you shave. 4. Do use hand creams more often. 1. Don’t use scrubs that are too harsh. 2. Don’t rub while you are using a facial cleansing. 3. Don’t stay on heat sources for too long. 4. Don’t use extremely hot or cold water for bathing. 5. Don’t skip on a washing routine. Q: What should people with combination skin remember when it comes down to skin care? You should consider the right product that will not make your face look dull. Having a T-zone oily area means you have to treat that part of your face differently. Seasons can change and so can your skin, so you can switch skincare products. This involves adding a shiny blush finish, such as a cream type, and then powder or matte eyeshadows so that they won’t easily smudge when you wear them all day. Exfoliating helps to keep away the dead skin cells to renew your skin. It can also be linked to the changing of the seasons. You should keep your skin moisturized to avoid drying. Q: What are the benefits of getting a facial treatment? 1. It saves your skin from sun damage. 2. It can minimize the damage from smoking. 3. It will also remove product buildup on your skin. 4. It can remove pollution debris on your skin. 5.It can help reduce signs of stress on your face. 6. It can potentially help your skin become healthier. Q: What are the steps to a regular skin care routine? You should pick one that is appropriate to your skin type to avoid blocking your pores. Acne treatments should be applied as directed and you should not try out many at once. Moisturizers can help replenish the skin after a good wash. This is for when you are going outside. Q: What are some misconceptions with oily skin? Fact: You actually need to moisturize, regardless of your skin type. In fact, if you don’t moisturize, your skin will actually produce more oil because you are lacking in moisture, which can cause more problems for you later on. The solution is to add a moisturizer for you to use and hydrate your skin. Fact: Exfoliation is only ideal for once a week because it can damage your skin. Consider adding more moisturizer if you plan to exfoliate more often, so that your skin will not get dry and irritated in the long run. Also, use a soft washcloth to make your skin less damaged. Fact: No, they may not be ideal for your skin, because they can be harsh to your skin. You can talk to a dermatologist or experiment which product is the best for your skin. This is so that you will be able to cleanse your skin and face without worrying about the side effects. Q: What are some myths about dry skin? It may not be enough when it comes down to just drinking water, and therefore, you should consider adding more moisturizers from the outside rather than on the inside. Even warm air has the capability to make your skin dry, if it is lacking in moisture, such as during low humidity periods where the air is really dry. Actually, hot showers can dry your skin because of the heat. Consider making the shower less hot, or at least lukewarm so that it can be bearable. You should still be picky with moisturizers, because some of them can still have those harsh chemicals that can be irritating to your skin. You should consider one that is hypoallergenic because you have dry skin. It depends on the kind of soap that you have, as some can be too harsh and abrasive to your skin, unless they have moisturizing cream and lotion, such as those from Dove. Q: What are some myths about skin care in general? UVA and UVB rays can still damage your skin even when you are out of the sun and under the tree, so make sure you wear your sunscreen properly even with that time. Scrubbing too hard can form rashes, as well as irritate your skin in the long run. The solution is to scrub just right and use the right cleanser for the right job. It can actually damage your skin if you pick it out, so wait for it to heal with your acne medication or topical product. It can, although slowly, but it is possible with advanced treatments that can work to help your skin recover from the damage. Not all of them are safe to use – a good example is that one horrible scene from Final Destination 3. Excessive UVA rays can make your skin look haggard later on. Not so, as sun exposure can also form age spots. Consider applying sunscreen and sun lotion to keep sun spots from happening. Some of them do actually work, although it depends on the product and the fine lines and wrinkles on your skin. Some can only be treated by cosmetic surgeries, however. Actually, what is at work is the climate. Your skin can change with the weather, and this is why it can react differently to your skincare product at some point in time. Q: How does a cosmetic procedure become successful? 1. Make sure you still look natural afterwards. 2. Don’t “do it all” today because it will make you look unnatural. 3. Always consider a licensed professional with clear testaments before doing so. 4. Know that not all treatments work on all parts of the body. Q: How can teenagers take good care of their skin in general? 1. Get enough sleep of at least 8 hours. 2. Keep yourself hydrated with water. 3. If you’re prone to acne, don’t eat a lot of junk food. 4. Exfoliate on a weekly basis. 5. Get into a skincare routine every morning and at night. 6. Use a quality facial cleanser for your appropriate skin type. 7. Be considerate about using makeup. 8. Feeling anxious about things can also add to skin stress. 9. Do some physical activities to keep your skin healthy and glowing. 10. Do things to make yourself happy – removing stress in your life can help your skin feel better. Q: How do you repair skin damage from the sun? There is a laser kind of procedure that can help with improving your skin’s appearance. It is almost a painless procedure. In most cases, you can still prevent or lessen the sun damage to your skin by using a sunscreen with at least SPF 30 or higher. This is done by micro needle process and can have an almost painless procedure. It can give your skin a good kind of glow. It is a kind of procedure that can be painless although here is some redness of about 3 days. It can help with collagen growth and can help cure melasma, acne, wrinkles and pigmentation problems. Q: How can you deal with the skin type that you are born with? 1. If you haven’t yet, start using sunscreen to prevent UV rays from damaging your skin. 2. Consider getting hydrated from the inside as well, such as getting glasses of water. 3. It may also be time for you to quit smoking if you do, because it can damage your skin. 4. For those who frequently drink alcohol, it should be limited because it can dehydrate you. 5. Do consider collagen supplements and professional skin care treatments as options. Q: What are the kinds of skin cancers? It is a kind of skin cancer that is caused by UV rays, sun exposure and can be hereditary. It can cause death in most terrible cases out there. It can occur to your lips, face and other parts of your head and it can be more frequent on elderly people. It can occur on the skin’s outer layers and it can cause disfigurement of the body, but it can be treated. It is a kind of skin cancer that is more common than other types out there. It can spread to the nerves and tissues of your body and can affect your neck, face and other similar parts of your body, but it can be treated if you get it diagnosed early. Q: What are some misconceptions about washing your face? 1. You should not wash your face more than twice a day, because it can irritate your skin. 2. You should not just wash your face, but also consider makeup removers if you have makeup. 3. You should be considerate of the ingredients of your cleanser so they will be gentle on your skin. 4. Don’t just go for the skin type with the cleanser – consider those with skin-friendly ingredients. 5. Don’t forget those cleansing products like primers that can help soften your pores. 6. The toner that you have should not be too drying and should be alcohol-free. 7. Don’t scrub too hard when you are exfoliating. 8. Consider products that can stay on skin rather than get easily washed away. Q: What do people think about acne that are actually wrong? 1. “Acne is just for teens.” It can also happen to people of older age, such as middle age, and even in younger pre-teens because of some hormonal imbalance. 2. “Excessive washing can stop acne.” It can actually irritate the skin, which can clog the pores and cause more breakouts to happen eventually, so think before you wash.
3. “Makeup products can cause acne.” It depends on the makeup, how you wash it away after using, and if you pick non-comedogenic products that will not clog pores. 4. “Your pimples can go away with squeezing.” Absolutely do not squeeze them, because they can cause acne scars and can be a problem. Benzoyl peroxide can help dry pimples so they can go away soon. 5. “Greasy foods can cause acne.” It depends, but it is not the main cause, because acne usually depends on hormonal and genetic information of a person. 6. “Keeping your skin dry can help remove acne.” Actually, if your skin is too dry, it will produce more oil to compensate, and your skin can get irritated. 7. “The toothpaste technique works.” It does not, and no scientific proof is made out of this, because bacteria is what causes acne, not tooth decay. 8. “Get exposed to sunlight and it will dry pimples faster.” It can actually worsen your skin because it can dry it and cause age spots to appear. 9. “I should stay away from mineral oil based products.” They are not really pore blocking at all because they can actually scrape the greasy sebum from the pores of the skin. Q: What are some misconceptions about stem cell face treatments? 1. “It’s morally wrong” – it’s not, because you are using your own cells and not of another person’s cell. 2. “You can gain a more youthful appearance” – they will grow into new cells, not exactly rejuvenate. 3. “They are made up of stem cells” – they are actually made of fatty tissue that is injected. 4. “It can be complicated to understand” – they are simply like plant cells that can grow into new ones. 5. “They can be applied topically” – no scientific proof has been given that these topical ones work. Q: What do people get wrong with microdermabrasion? There is no scientific proof about this yet and it is not that effective for that matter. Most medical grade microdermabrasion systems really do work on your skin. It is non-invasive so it does not require a lot of downtime and it can only last about an hour or so, making it a quick and easy treatment. It depends on the severity of the spots, but on most cases, light treatments are much better for these kinds of skin problems. As a whole, we think that the Nuface Mini is our pick for the best microcurrent machine due to the combination of the hyaluronic acid and the microcurrent, which can make a great beauty regimen for anyone, and can make the comfort of their home into a nice facial treatment spa.